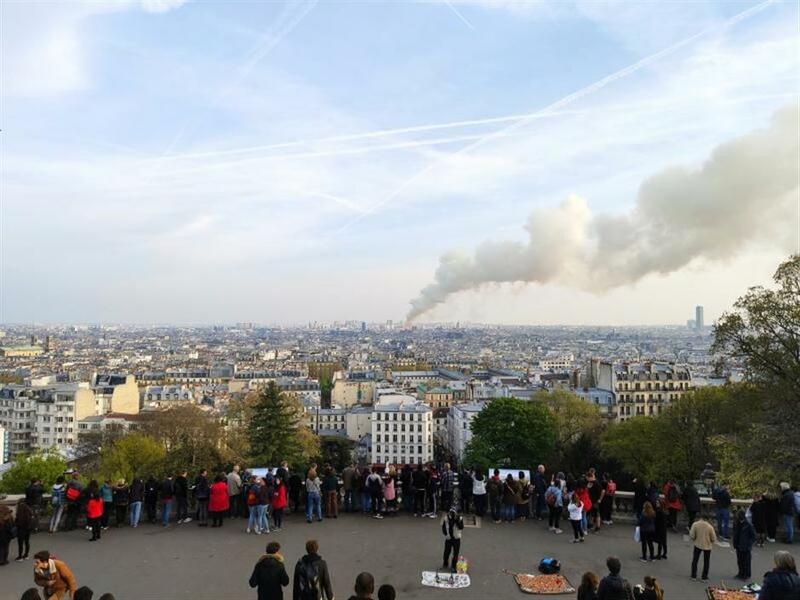 Chinese tourism companies are offering new itineraries and refunds to tourists after a devastating blaze hit a Paris landmark. Smoke billows across the city. Firefighters pour water on the blaze. Chinese travel agencies are adjusting itineraries and issuing refunds to tourists visiting Paris after a massive fire tore through the city's famed Notre-Dame Cathedral. Yu Junxian, a tourist from Shanghai, is on a honeymoon trip in Paris. "I visited the cathedral on Sunday afternoon and was taking a stroll nearby yesterday afternoon," Yu said. He learned about the blaze via photos and videos posted on WeChat. "I walked along the river Seine and went to the cathedral after learning the news," he said. "I saw heavy smoke billowing out." Shanghai-based online travel operator Ctrip has contacted tourists in Paris who were on a one-day tour and offered full refunds. "We have changed all routes involving Notre-Dame Cathedral and replaced it with the Basilica of the Sacred Heart," said Zou Yu, with the European tour division of Ctrip. Metro and bus stations around Notre-Dame Cathedral were cordoned off on Tuesday morning local time, said Lei Lei, a tour guide in Paris. 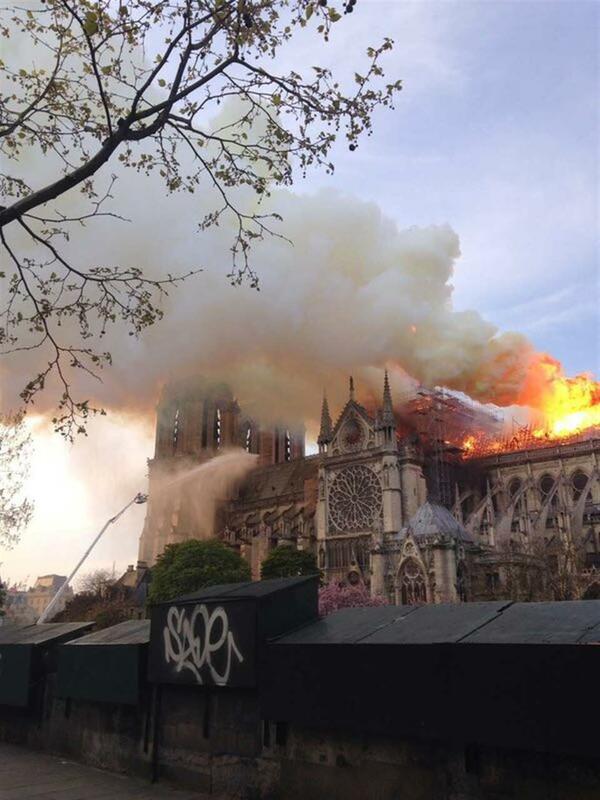 Only the major structure of the cathedral remains, said Lei. Online travel operator Tongcheng said it will adjust the schedule of travelers. Spring Tour, a travel agency in Shanghai, said it will communicate with tourists about possible itinerary changes. Notre-Dame Cathedral is among the top-three most popular attractions in France among Chinese tourists, Ctrip said.